Do Chihuahuas and Children Mix? 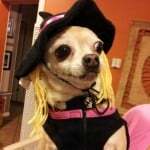 | I Love My Chi I Do Chihuahuas and Children Mix? % Do Chihuahuas and Children Mix? 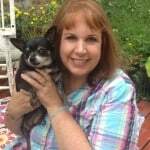 You are here: Home / Chi Training / Do Chihuahuas and Children Mix? 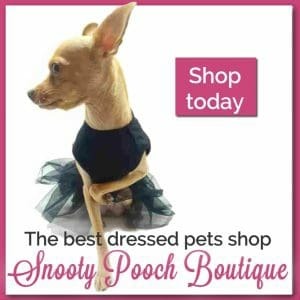 As a facilitator of a very large Chihuahua community, I have seen many instances where children in the family (even babies and very young kids) get along great with the family Chihuahua. But there are just as many, if not more instances where people ask for help because their Chi is snapping at their toddler. If you plan on having kids or already have young children, it’s best to wait until they are older before getting a Chihuahua. Chihuahuas tend to be snappy towards children and Chihuahuas are fragile and can be easily injured by a child that is to rough with them. Older children, age 10 and up, tend to do just fine with Chihuahuas as long as they are respectful and do not tease your Chi. 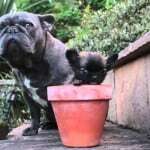 Chihuahuas typically do not do well with young children. It’s understandable when you put yourself in your Chi’s place and realize how scary it is to have this loud, jerky little person grabbing at you. They are frightened and just trying to protect themselves. If you already have a Chihuahua and young children come into your household, you will need to train both your child and your Chihuahua how to act with each other. Always supervise your child and your Chihuahua when they are together. Teach your child how to be gentle when petting or holding your chi.Use calm, slow movements. Use a calm, soothing tone of voice. Use a catch phrase. For instance, when I was teaching my granddaughter how to pet my Chi Kilo, I would say “Be gentle” over and over as I was showing her how to treat Kilo. Continuous reinforcement is needed until you are sure they understand. Puppies are easier to train than adults of course. If your Chi is a puppy, you can place him/her in your child’s arms to get them used to your child. If the Chi is an adult, wait until the dog is comfortable with your child before trying this. Work on allowing your Chihuahua to be petted by your child first. Praise both dog and child if they are getting a long well together. If your dog snaps at your child, tell the Chihuahua “no” in a firm voice, and put them in a “timeout” a way from everyone. If your dog growls at your child, it’s a warning. It’s time to separate the dog from the child. You can try again with the training later. 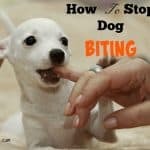 If your dog is a puppy, and does the typical puppy thing by trying to chew on you or your child, tell them “no” and give them a chew toy instead. It’s important that they learn at a young age, that biting is a no-no. If attempts to train your kids and Chis are just not working, then it’s time to get the advice and help of a professional dog trainer. 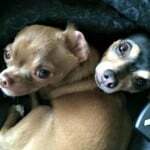 Chihuahuas and children together can work out but it usually will require some effort and work from everyone involved. my grandson has been coming to stay with mother ever since he was born eight months ago .they live four hours away so are back and forwards .molly was fine with him little out of place when I hold the baby.they have came to stay for Christmas and molly has a thing with shadows when the baby gets to close and she’s watching shadows she has snappeted .She has not do this in the passed .when I have baby in my arms she will get up next to him and be fine. I haven’t heard of them getting freaked out by shadows before Suzanne. That’s a new one for me. I take my chi puppy to a kinder kare. We use the puppy to teach the children how to act with puppies and I have the advantage of having a tiny dog well socialized with children. I did this with my maltese and she lived children her whole life. Now Freddie is learning the same. We have all the children sit on the floor and remind them to talk sofly. I come armed with a pocket full of dog food. I start with the first child in line and show them how to hold treat on flat of hand. Puppy eats the food and gets petted. Then we go to the next child etc down the line. If a child doesn’t want to interact we just go to the next. When I get to end I start over with first. Usually by the second day that we come all the children are wanting to feed and pet the puppy. Freddie loves to retrieve his toys so after the third time down the line with treats and pets then I go to the first child and show him how to throw toy and Freddie returns toy in exchange for food and pets. Children really like this so they are lsughing. Gets Freddie used to the sound of the little ones. We are talking preschoolers. They are learning how to interact with dogs and how to pet them. We teach that the dogs are mote comfortable being petted on their backs rather than their heads. So far it has been a win win situation. Parents are happy because the kids are learning how to approach dogs. In some instances it has gone from children being afraid of dogs to liking them. I end up wi th a stable tiny dog that loves little kids. I love that idea Shirley! How did you get the school to let you come in? Do you work there? 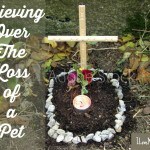 We did almost the same except this was to help my son who’s service dog sad. Chi. They call it pet therapy. I have 4 Chis. Ginger, Sugar, Cinnamon, and Abby. They all love my 4 grandchildren ages 5,6,8,9. The kids will lay on the floor and the dogs will climb up on them and lick their faces. Our newest rescue is 7 years old and will growl if the kids try to pick her up but that is because she has a very bad knee and has had surgery on it. We just teach the kids to let her come to them. 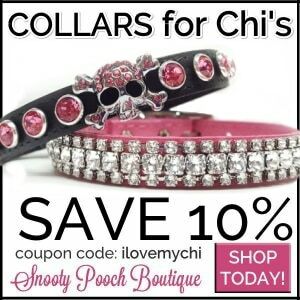 We love our Chis! I have had to teach my granddaughter that too Cheryl. If Kilo comes to her, it’s okay to pet her and play with her. Needs to rest. Working really well. Chi loves kids. I juat adopted a chi from the shelter today… He and his 2 other litter mates were found in a abandoned house. We tool my 4 year old for a meet and greet last week to see how he was with her he did great. But since bringing him home he looks at her funny and acts skidish im scared he may try to bite her? Ive been trying to explain to her that hes little i dont want to have to take him back is it possible to teach them to co exist together? Im working with both of them but im still a bit nervous on the whole situation… I know it hasnt even been 24 hours.. And i know he needs time to adjust… PS he is also recouping frim being neutered. Just the fact that he is recuperating is enough to make him skittish of a young child. 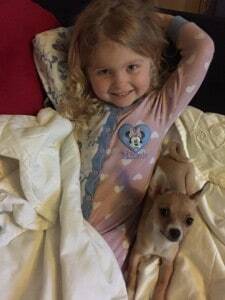 One of my dog’s who adores children bit a child when she was recuperating. She never would have done that normally. Until he is feeling better, ask your daughter not to approach him for a few days and then slowly re-introduce them to each other. Have your daughter offer him a treat a few times a day so he associates her with good things. And then move up to petting, and the playing together, etc. I know it’s hard but try not to be too nervous. Both the dog and child will pick on it and will stress them out too.